The Toronto Maple Leafs have inked defenceman Paul Ranger to a one-year deal worth $1 million US, according to reports. The Toronto Maple Leafs have inked defenceman Paul Ranger to a one-year deal. Leafs general manager Dave Nonis announced the signing on the team's official website. No financial details were revealed, but reports say it is worth $1 million US. Ranger, 28, spent last season with the AHL's Toronto Marlies after taking a three-year hiatus from hockey due to personal reasons. In 51 games with the Leafs' farm club, the Whitby, Ont., native scored eight goals, 17 assists and was a plus-16 with 54 penalty minutes. 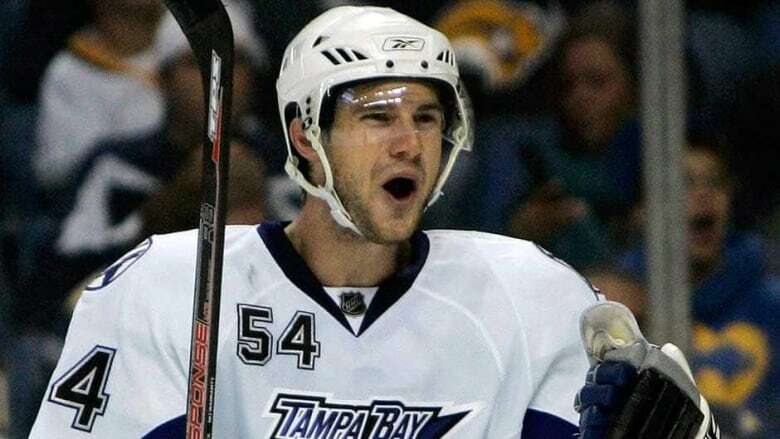 Originally selected in the sixth round (183rd overall) by the Lightning in the 2002 NHL Entry Draft, the blue-liner has 18 goals and 74 assists in 270 career games with Tampa Bay. His best offensive season came in 2007-08 when he totalled 10 goals and 21 assists for the Lightning in 72 games.